Reading a story "The Nutcracker" with children. 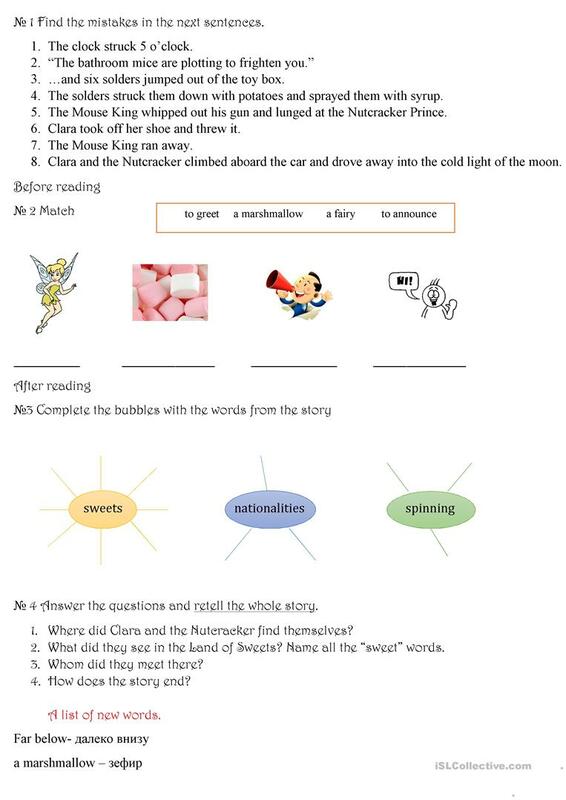 The worksheet is based on Usborne STORIES FOR LITTLE CHILDREN. Please, compare the tasks with your text before using. The story is quite long so I devided it into 3 parts. For each part you need approximately 20-30 minutes. The worksheet is devided into 3 parts: before, while and after reading. 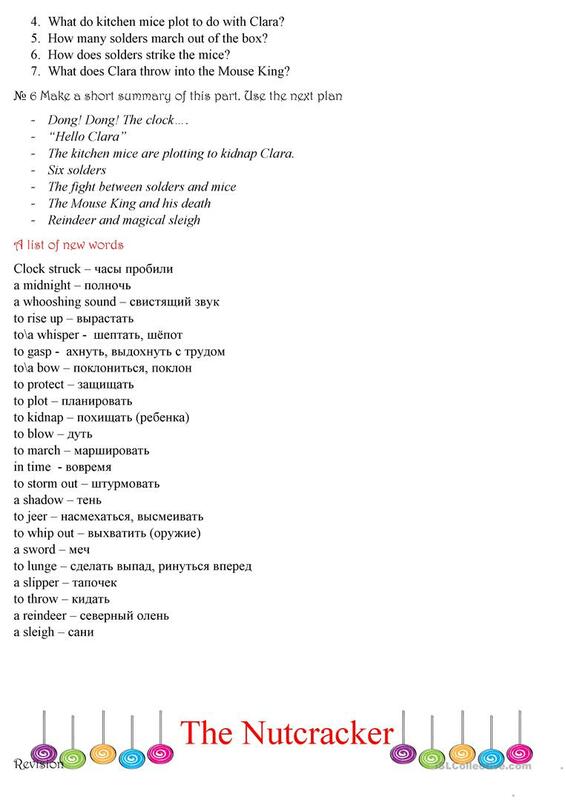 2 parts contain a list of new words wich is translated into Russian but you can remove it and write a translation in your language. 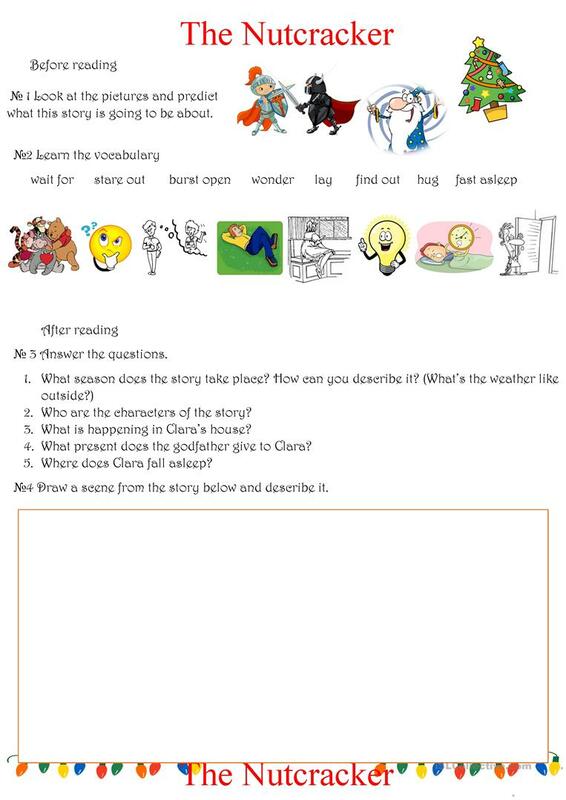 It will help your children while reading the story to understand the plot and learn new vocabulary. Every part contain a task for developing speaking skills. At the end you can act out the story. After these worksheets students will do it easily. 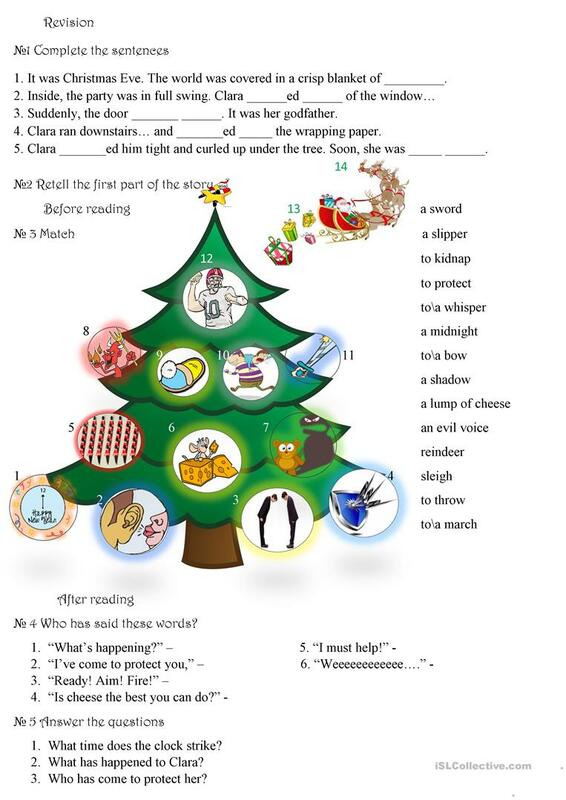 The present printable, downloadable handout was created for elementary school students and kindergartners and nursery school students at Elementary (A1), Pre-intermediate (A2) and Intermediate (B1) level. It is great for revising Present simple tense in English, and is useful for honing your learners' Spelling, Speaking, Reading and Writing skills. It is focused on the theme of Christmas.